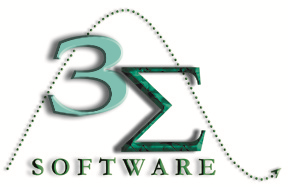 Three Sigma Software, Inc. is an innovative software development company, with the sole mission of providing our Customers with quality software development, implementation, and maintenance support to effectively manage their Women, Infants, and Children (WIC) programs. Using state-of-the-art technology, our experienced developers, former WIC staff, and subject-matter experts deliver web-based applications that support WIC staffs in the mission of providing efficient, effective services to WIC participants. Our customized WIC systems offer solutions for both EBT and Coupon-based WIC environments; supports scanners and signature pads, and allows for interfaces to many other services. All of this makes Three Sigma’s systems the leading WIC applications available. Since its inception in 1974, the Women, Infants and Children (WIC) program has become one of the most successful federal initiatives ever undertaken, continually working to improve the health of participating women, infants and children in many ways. Since Three Sigma Software was established in 2003, we have worked to bring real, measurable value to our WIC Customers. We are serious about the quality of our products and services, and about delivering them on time and within budget. We know that our Customers rely on us to know both the WIC program and how the underlining technology of our systems can support it. In addition to technical expertise, Three Sigma’s team includes WIC-specific experts: we employ a past Local Agency Coordinator, a Registered Dietitian, and a Registered Nurse. Our continuing commitment is to meet the technology objectives entrusted to us with maximum responsibility. Our past performance attests to our success at making this promise a reality for our Customers.